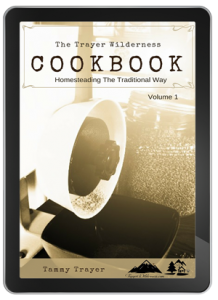 The Trayer Wilderness Cookbook ~ Homesteading The Traditional Way ~ Volume 1 started the ball rolling with my life of authoring/publishing in July of 2015. 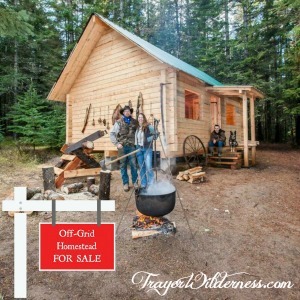 Now I am pleased to present to you How To Embrace An Off-Grid Lifestyle which many have been waiting a long time for… We take great pride in our family, our lifestyle and God’s grace to us in everything that we do. I have always wanted to write and ideally I wanted to write a book. In 2013, God had a different plan for me and I was given an open door to contribute our story and our knowledge in The New Pioneer Magazine. That was such an amazing opportunity and I had no idea that it would lead to SO much more. We even ended up on the cover of the magazine that my first article debuted in! Wow!! 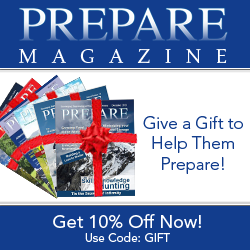 Since 2013, I have been a contributing writer for The New Pioneer Magazine, American Frontiersman, Prepare Magazine, The Backwoodsman Magazine, Self Reliance Illustrated, Survivor’s Edge and occasionally in Cabin Life Magazine. This has been such an amazing opportunity and has allowed me to reach so many people with our message. We feel very led to share our knowledge in these uncertain times. 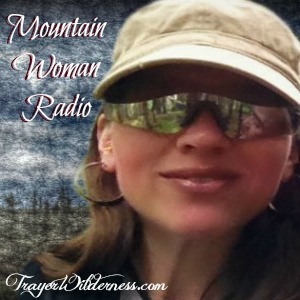 We focus very heavily on sharing our faith-filled off-grid living, traditional and primitive skills, natural health, wholefoods diets, gluten-free and casein free diet, harvesting, foraging, preserving, hunting, autism, living frugally & simply and so much more. But you can only share so much in 1,200+ words and we have SO much more to share on our lifestyle. How To Embrace An Off-Grid Lifestyle is being written to fully blow all the misconceptions out of the water. 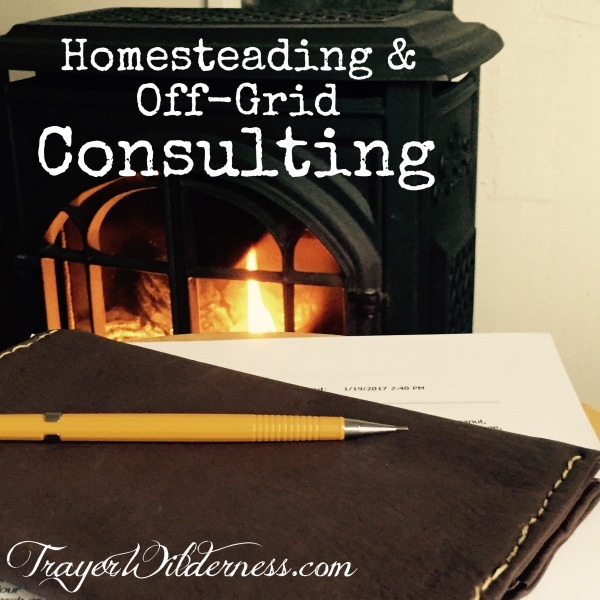 My goal is to help you fully understand the pros and cons of living an off-grid lifestyle by sharing the in’s and out’s of off-grid living, share our solar system and other alternative energy options as well as reliable companies, our appliances and tools used on our homestead, our generator and large appliances, our hacks to save energy and be even more efficient, what a day looks like on our homestead, resources and so much more. 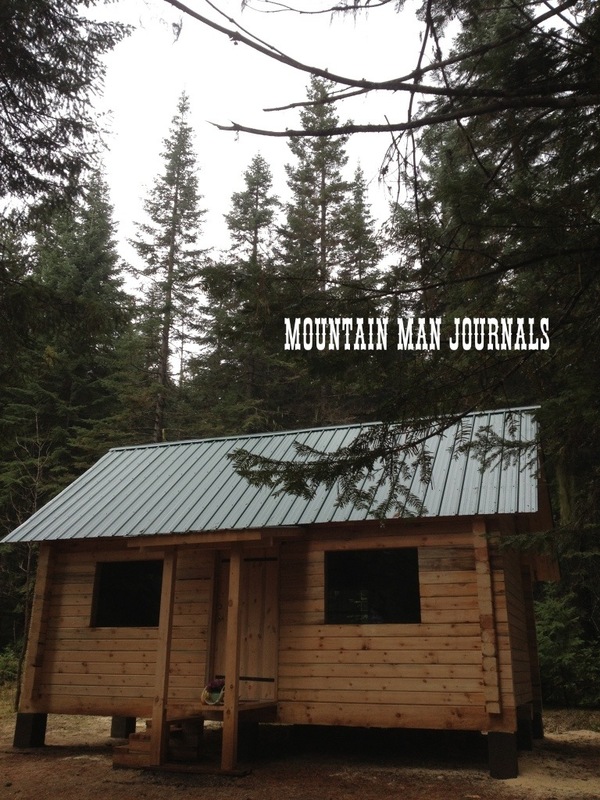 5.0 out of 5 stars Dreaming of an off-grid lifestyle? Here’s what you should know. 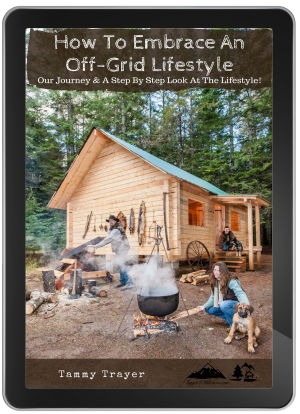 This book has all the information and inspiration you would ever want if you’ve dreamed of living off-grid. 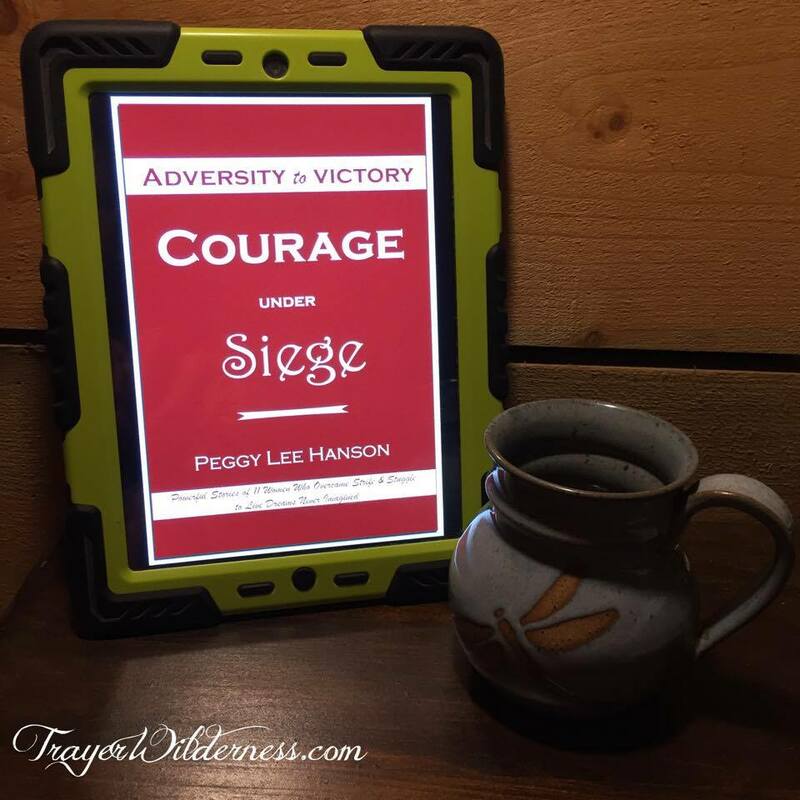 Tammy shares her family’s stories and experiences, warts and all, and you get a realistic picture of what this lifestyle is like. I appreciated that she went beyond her story (which is fascinating!) 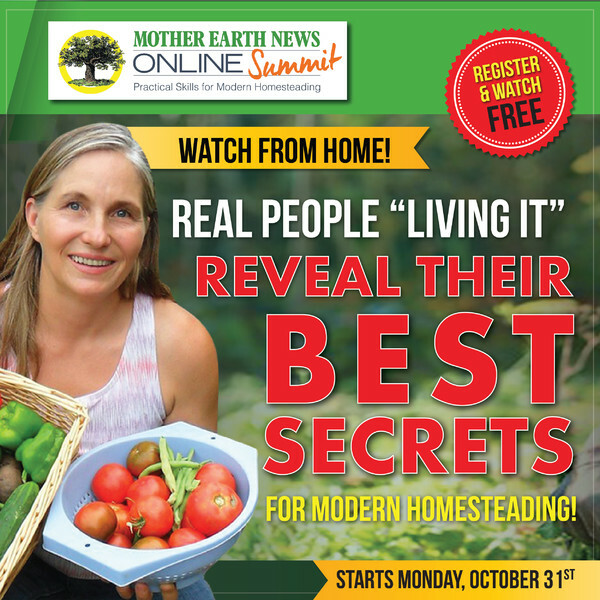 and explains how to do laundry, cook, and do household chores in an off-grid setting. 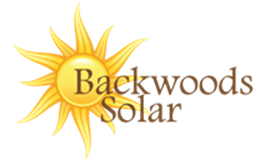 Her family does have power, which comes from a solar panel system, and she explains that use as well. 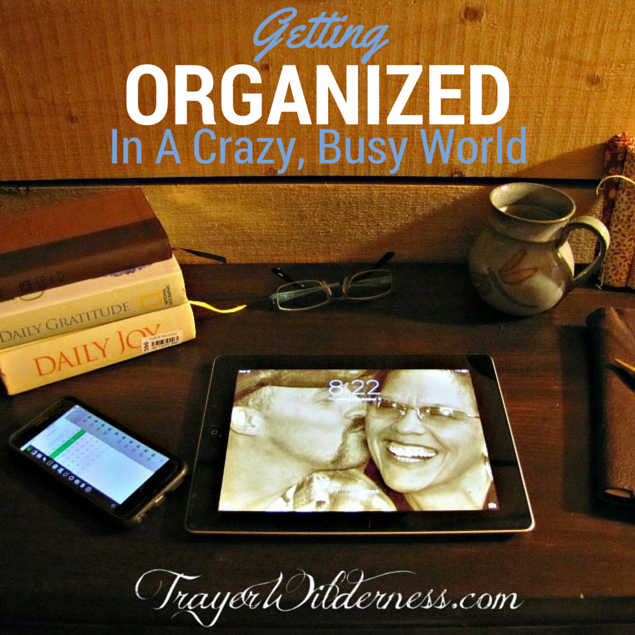 Tammy does a great job of blending practical information with her family’s down to earth experiences. 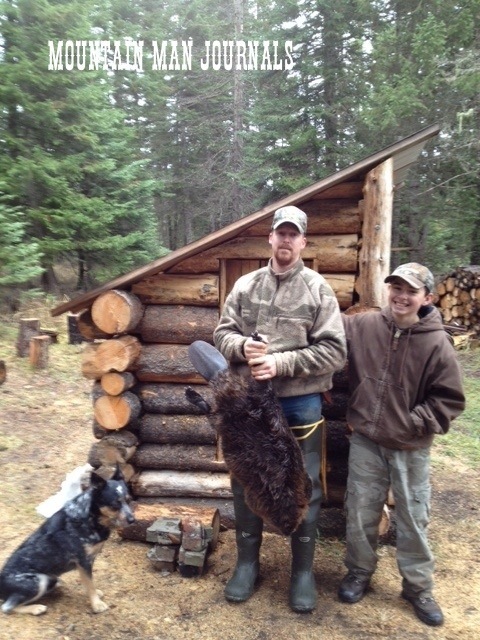 Be prepared to be taken on a journey of discovery and learning by a family that chose to live a traditional off grid lifestyle in the North Idaho wilderness. Tammy, Glen and Austin share their experiences in this well written, educational and entertaining book. 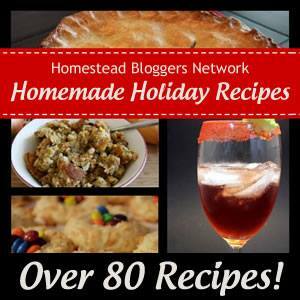 Homestead Bloggers Network Homemade Holiday Recipes – Purchase yours today! Wooohooo… My recipe is in print!! 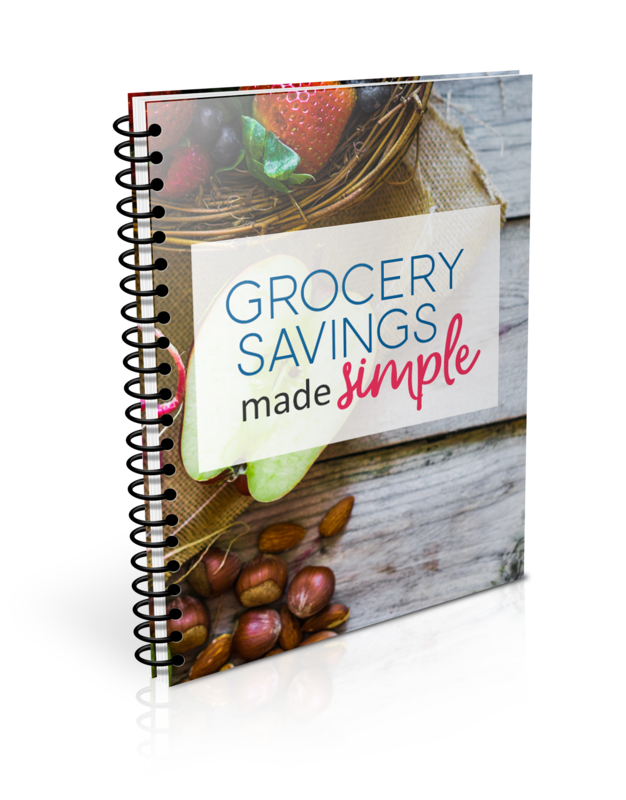 I am SO very excited to announce that the Homestead Bloggers Network has put together a BEAUTIFUL Holiday Cookbook and I have the honor of being printed within. I am honored to be a part of such a wonderful group of hard working, like minded people. 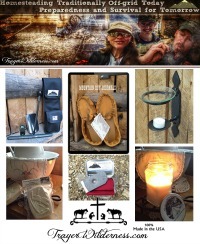 Together we are able to accomplish a LOT of things, including bringing you amazing how-to’s, DIY’s, gardening, farming, homesteading, survival knowledge and the list goes on. 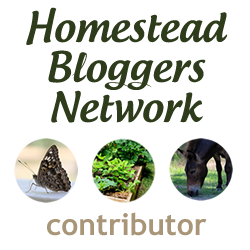 If you have not heard of the Homestead Bloggers Network, then shame on me for not presenting and mentioning this wonderful group more often. There is a link on all of my posts and on my main page of my website for all to see, but I feel I have neglected in mentioning the importance of this group of people. They have heart and a passion for sharing their knowledge just as myself and my family do. 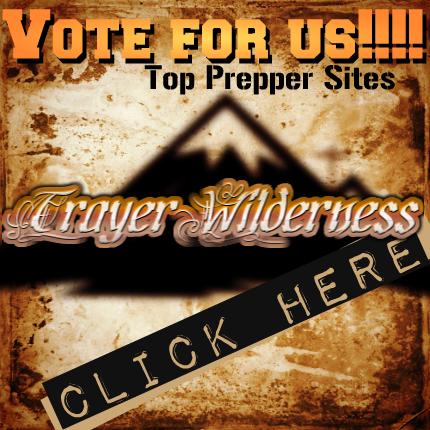 I highly encourage you to check them out and if you are a blogger, choose to become a part of this group. You will be able to purchase a copy of this e-cookbook NOW which is packed with AMAZING recipes. 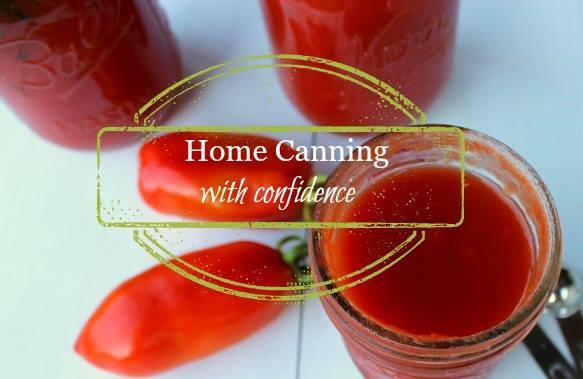 These recipes are shared by homesteaders wanting to encourage home cooking and they have provided easy to follow and beyond delicious recipes for all to share. Be sure to purchase your copy. To purchase your copy, click the link below. Due to the requests we are getting I will be putting together two different e-books which should be available soon. One on the layout, design and instruction on our log cabin and the other with instructions and the design of our log smoke house. 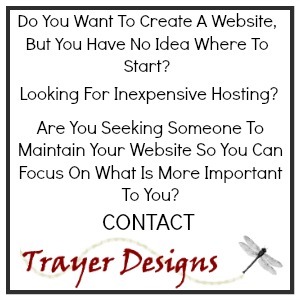 Let us know if you are interested so that we can contact you as soon as they are completed.